Dr. Leonardo Palombi, MD is a full Professor of Hygiene, Epidemiology and Public Health at University Tor Vergata, Faculty of Medicine. He is the head of the Biomedicine and Prevention Department in the same university. He is also scientific director of the DREAM (Drug Resource Enhancement against AIDS and Malnutrition) Program, a large private/public intervention in 10 African countries with 33 health centers and 20 molecular labs, run by a faith-based organization: the Community of Sant’Egidio. He is the coordinator of a PhD on Nursing sciences and Public Health at University of Torvergata, Rome. His main area of research has been HIV infection, infectious/ tropical diseases, global health, health planning and epidemiology of ageing. He has been Co-Principal Investigator in a number of national studies and international interventions. He has been involved as Managing Director for two World Bank Interventions in the Balcan area (1998-2000) and in Mozambique (2004-2007). He was a member of the National Italian Committee for HIV/AIDS (2003-2005) and was involved in the WHO guidelines preparation in Geneva for HIV (PMTCT 2006 -2008, HIVRESnet 2009, Consolidated Guidelines, 2012). 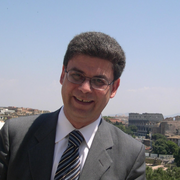 Leonardo Palombi authored more than 250 publications (H Index 22), books and oral presentations at international meetings. Increased infant human immunodeficiency virus-type one free survival at one year of age in sub-saharan Africa with maternal use of highly active antiretroviral therapy during breast-feeding . Marazzi, M.C., Nielsen-Saines, K., Buonomo, E., (...), Ceffa, S., Palombi, L. ; Pediatric Infectious Disease Journal, 2009.